Bill Ryusaki was born on October 14, 1936 in Kamuela on the big island of Hawaii. He had ten siblings, many of whom, as well as his father are martial arts masters. He began training under his father in two types of martial arts, Shotokan karate and Kodokan judo at the age of 8. He later added Kenpo Karate to his arsenal. His teachers would come to include William Chow, Bill Chun Sr., and Marino Tiwanak. After college, in 1957, Ryusaki moved to the United States mainland and trained with Ed Parker, Ed Tabian, and John Leoning who was the first Kajukenbo instructor on the mainland. In 1961, Bill received his Black Belt in Kajukenbo/Kenpo. He incorporated many techniques from Kenpo and Judo into his unique karate system known as Hawaiian Kenpo Karate. In the 1970’s and 1980’s, fighters who were trained by Ryusaki took many of the top champion positions in competitions. Among those students were Dan Guzman, Otto Schumann, Benny “The Jet” Urquidez, and Cecil Peoples. In August, 1998, Wesley Snipes hosted a major awards ceremony in New York City called “Masters of the Martial Arts”. This special was televised, and included the best-known and highest-ranked martial artists from around the world. Bill Ryusaki received special recognition at this event. Ryusaki has appeared in numerous films and TV series as an actor and stuntman. 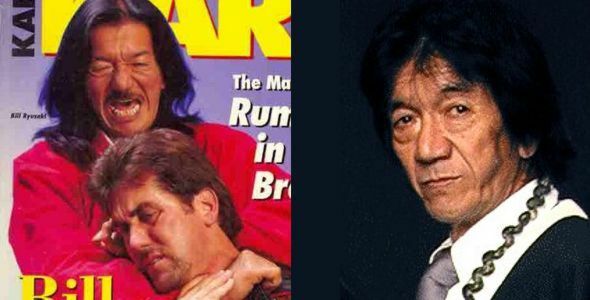 His daughter, Kimberly Ryusaki, is also an actress and stuntwoman, and has appeared in various films, including two of the Star Trek movies.